It’s one of those things you were told growing up: marijuana is a gateway drug. Take a puff of the reefer and it won’t be long before you find yourself shooting and snorting the truly dangerous stuff. This idea, based on flawed logic and old research, hasn’t gone away. 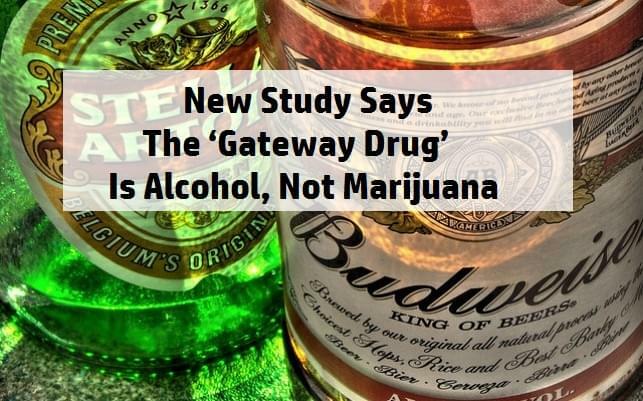 Anti-drug agencies still use the gateway myth as a platitude in their anti-marijuana use advertisements. It’s worth understanding the facts so that you can respond to false claims about marijuana and so that you can enjoy cannabis without the unnecessary worry and stress about whether using marijuana means putting yourself or others at risk for actual drug problems. A popular refrain in science communities goes, “correlation does not imply causation.” Just because two things exist together does not mean that one of them caused the other. Much of the research that claims marijuana is a gateway to harder drugs uses very simple statistics about drug users and interprets them the way they want to—not in a very scientific manner. The government and anti-drug agencies began their gateway hypothesis with data from 1991, when surveys showed that 17% of people who had smoked marijuana had also used cocaine. The research also showed that only 0.2% of cocaine users had never used marijuana. The anti-weed patrol decided to look at those figures and say that marijuana users are thus 85 times more likely to move on to cocaine, compared to people who had never touched reefer. This data does show that most cocaine users have used marijuana. What the research does not prove is that the act of enjoying cannabis somehow causes a person to try cocaine or some harder drug. Lots of people use marijuana. The fact is that someone willing to do cocaine will almost certainly have tried marijuana. It’s just not realistic that someone doing serious, dangerous drugs would have somehow managed to go through life never enjoying marijuana as well. The flip side of the 17% statistic would be the fact that 83% of marijuana users never use the white stuff. Overwhelmingly, people are stopping at marijuana rather than entering some mythical gateway to harder drugs. 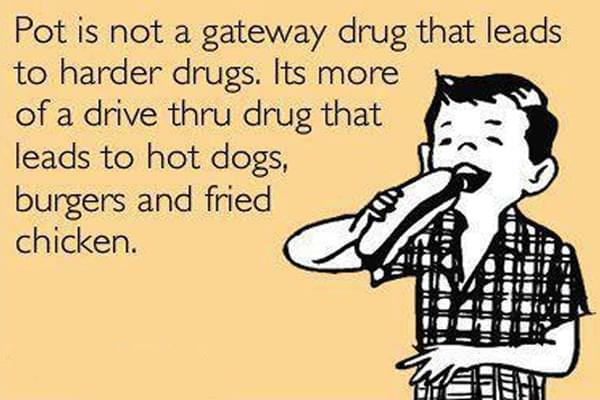 Another clear-cut flaw in gateway theory is the lack of correlation between marijuana use and the use of cocaine, heroin and other drugs. Over the past decades, marijuana use has gradually increased while cocaine and other drugs have become less popular. If people were more likely to try other drugs after cannabis, then the increase in cannabis usage would be leading to explosively high rates of use for cocaine and other drugs. Misunderstandings of addiction also play a role. Gambling is addictive, so people may move from lotto habits to high stakes gambling. Marijuana does not have the addictive properties or chemical responses of cocaine, and the two habits are simply not related.